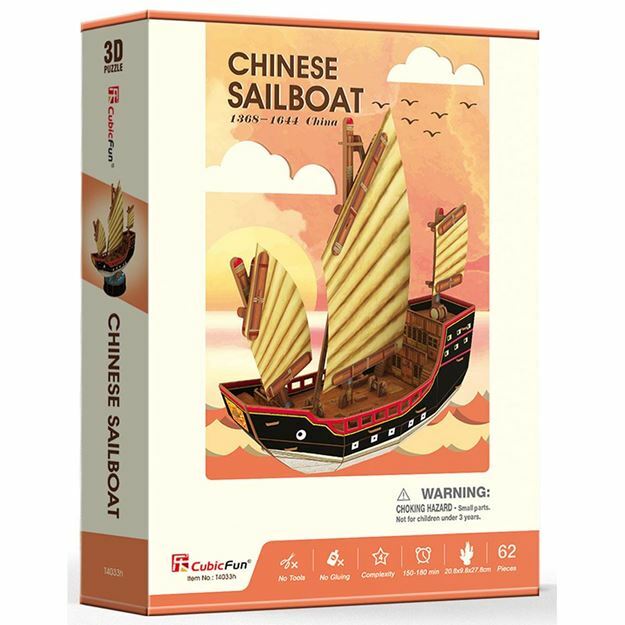 The Chinese Sailboat is an ancient Chinese sailing ship design stillused today. Junks were used as seagoing vessels as early as the 2nd Century. Found more broadly today is a growing number of modern recreational junk-rigged sailboats. This 3D puzzle is made of paper and expandable polystyrene foam board, it is easy to assemble without the use of any tools or glue. No of Pieces: 62. Model size: 20.8cm x 98cm x 278cm. Age 5+ years.